The recipe for a winning mindset is the foundation for developing your life and physique to its highest potential. Does your mindset serve you or work against you? During my 30 years in competitive women’s bodybuilding I had to cultivate a mindset that allowed me to win 8 Ms. Olympia titles. Every chef has a recipe for a great meal; I have a recipe for a winning mindset! Here’s a few ways to get your mind on a WINNING track. CLEAR YOUR MIND OF DISTRACTIONS -Make time each day, preferably in the morning, shortly after you wake up to do some form of visualization, meditation, or deep breathing exercises. Pick an activity that feels right for you. This will help you to start your day with a higher level of, energy, clarity and focus. Clearing your mind of distractions will make room for a winning mindset to take root! BEING PRESENT– Living in the now is the only place we have any real power! The only way you can create your ideal physique is by focusing your efforts on what you can do now. Living in the past is wasted energy. Fantasizing about the future is just daydreaming. If you don’t do anything in the present moment to manifest your dreams then you will not progress in any area of your life! SET GOALS – Without having goals to strive for you remain stagnant. Having goals fuels your attitude with enthusiasm, energy, purpose and direction! PRACTICE CONFIDENT THINKING – What is Mohammed Ali best known for? “I AM THE GREATEST” This is what he told himself long before anyone knew who he was. What we think and what we tell ourselves become habits of thought. Habits of thought tend to become self-fulfilling prophecies. This is the Law Of Attraction! INNER CIRCLE OF WINNERS – Winners attract winners. Be selective of those you let into your inner circle. Sometimes people are jealous, insecure and threatened by your drive to succeed. They may try to plant seeds of doubt in your mind to throw you off course. You can get pulled all over the place by the opinion of others if you allow it. If you are serious about developing a winning mindset then you can’t let everyone know what you are trying to accomplish. Limit the amount of people you surround yourself with to those who have proven themselves worthy of your trust and respect. TAKE RESPONSIBILITY FOR YOUR MINDSET! – Accepting responsibility for your success and failures in life is a major step towards creating a winning mindset! Winners always learn how to become better by overcoming adversity and learning from their mistakes. Our best teachers in life are our own experiences. Cultivating a winning mindset means that you are constantly learning, experimenting, fine tuning and moving forward with your dreams and visions! It is my opinion that we create our own destiny. We must align ourselves with the proper mindset in order to create the life and physique we desire. During my Ms. Olympia reign I would constantly re-evaluate and make adjustments in my preparation to win and defend my title. 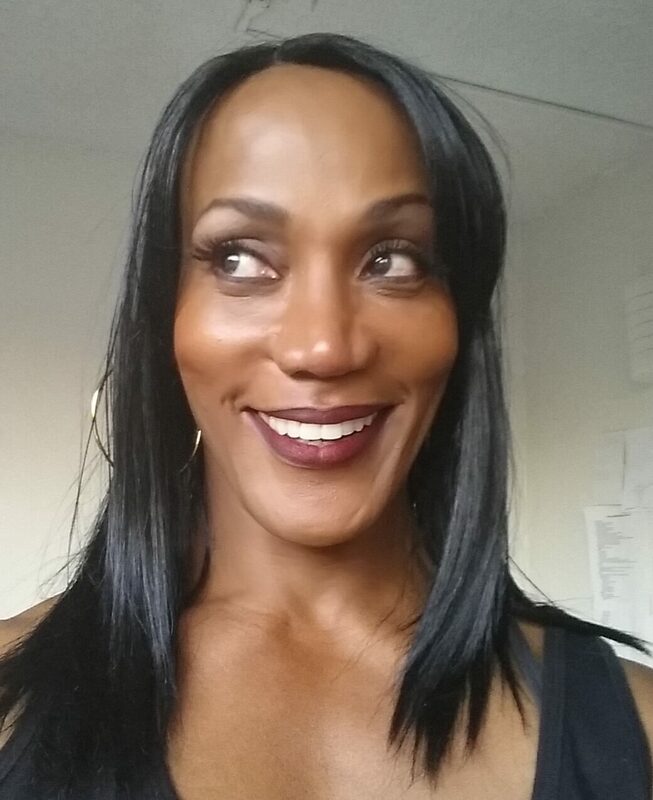 Having the proper mindset was the most important ingredient in my recipe for winning eight Ms. Olympia Titles! 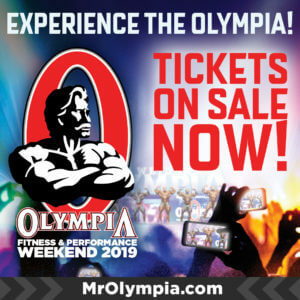 Regarded as the most admired female bodybuilder of all-time, Lenda Murray’s wealth of experience in athletics, entertainment and media makes her one of her sport’s most celebrated champions, an 8-time winner of the Ms. Olympia. 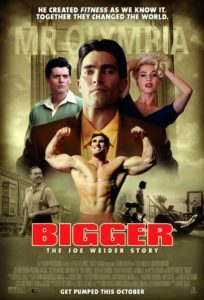 Having appeared in film, television, and on countless books & magazine covers, Lenda’s mainstream appeal elevated her as one of the fitness industry’s greatest ambassadors. 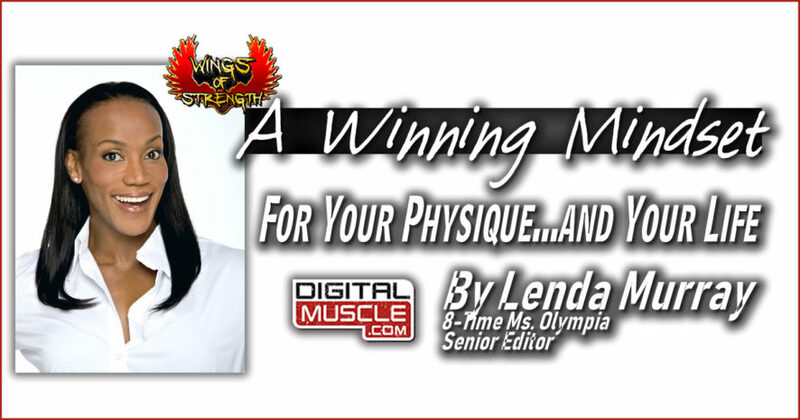 Lenda comes to Digital Muscle as a Senior Editor.